Loop Mobile operates only in Mumbai circles and nearly 3 million subscribers. These subscribers will move on Airtel network. 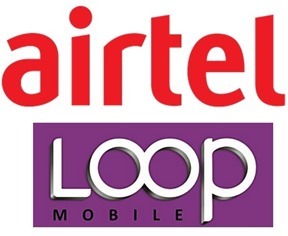 Along with Loop’s subscribers, Airtel will also get their 2G/EDGE enabled network supported by 2,500 plus cell sites. Loop did not offer 3G services in Mumbai. With addition of 3 million loop subscribers, Airtel will not become the largest operator in Mumbai with total of 7 million subscribers followed by Vodafone’s 6.8 mln. This might come as a bitter-sweet deal to Loop subscribers, as Loop offered cheaper data and voice calling tariffs. Once they get ported on Airtel’s network, they will need to pay higher Airtel tariffs. On the plus side, they will now be able to access extra services like 3G, 4G, Airtel Money, VAS and roaming facilities, which Loop did not offer to their subscribers. As of December 2013, Airtel had 198.4 million subscribers and a market share of 22.39 percent. With Loop’s subscribers in their kitty, they now cross 200 million subscriber mark in India alone. Bharti is also the largest operator in India by a large margin. Vodafone has 160.4 million subscribers, over 40 million lesser than Airtel. What is your take on this acquisition? If you are a loop subscriber do let us know what you feel about it?